Posts tagged "Naples FL Taxi"
Book today a cheap Naples FL taxi while it’s time. It’s Summer, so hot and muggy, time for locals to be in bars and restaurants. Call a taxi near me while planning for happy hour. Let the fun begin when calling Naples FL taxi today. Because the fare is cheap, anyone can get a Naples cab. They are less traffic but longer wait on red lights. Bring friends and kids also, minivans taxi will carry the all family to dinner. Thus, you’ll participate on the cheap taxi service program. Drivers are so nice and prompt, they will bring you back home safe. So just jump in into Naples FL cab and start hitting all bars and restaurants. You’ll have your own designated driver, taking care of the rest as well. Then, if you wish to have fun without police involvement, let us do the driving for you. When do you need a cheap Naples FL Taxi? As soon you make plan to go out, order a cheap Naples FL taxi. Don’t wait until we owerbook, be the first in line. Instead, make a reservation 24 hours in advance, ensuring your pickup. Expect from us, a minivan taxi so clean or a nice black car. While we sum out your needs, we have that desire to keep you with us and be another customer. We just can’t afford to lose a good one, mainly the ones who believe in us. That’s why also we want to be aware of future taxi transportation needs. Such as a father wonder of a child’s activity, so are our concern of you. Believe in this family spirit because we care for your investment. As you know, Too many good guys lose their reputation forever. Because they want cheap Naples taxi, they use the wrong so call taxi. Best Naples FL Taxi! Naples Cab Service! Airport Taxi Service! Best Naples FL Taxi & Car Services in Naples FL is the answer when your need Naples cab service. We select our chauffeurs carefully to ensure your comfort and safety at Naples FL Taxi. Because since our years of service, we provide Naples airport transportation in and around the Naples FL area. 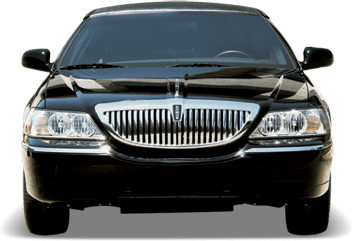 Naples FL Taxi has earn also a stellar reputation for professional Naples taxi service. So fast and safe, ground transportation among locals and part time residents who are always on the go. We also understand how important time is for your much anticipated happening or simple travel needs. As your on the go, we will pick you up and drive you to your destination with a smile. Our staff is always eager to meet and exceed your expectations. Because of our driver’s skills and years of experiences, we are popular. Also you can rest assured we are knowledgeable on various routes all around Naples FL. So, Naples FL Taxi & Car Service, has enjoyed widespread “word of mouth” by satisfied travelers and locals in Naples FL. Referrals keep us busy and allow us also to continue customer satisfaction for different transportation needs. Our services hail us as one of the best transportation companies in Naples FL. Whether for airport or for comfortable getaway purposes, we never hesitate to provide the transportation you need. Making sure our customers are in a clean air and safe environment. A smiling face and a good mood gives hope of a return trip. Get to the exact location they wish to be. They are comfortable in a clean air conditioned vehicle. Pelican Bay taxi service to airport, car service for dinner, pelican bay airport transportation. Naples airport car service, hourly and fixed price. Call now 239-777-0777.
for our customers in Pelican Bay area. They frequently use our taxi services for their Naples airport transportation and Naples car service. In winter time, traffic is hectic, especially on main roads. We’re trying to provide everyone a peace of mind, a quality taxi service that makes you smile. Rest assure we will provide a prompt and reliable service you can count on, like we always do. Whether you need taxi service for mall, dinner reservation, errands, it doesn’t make any difference to us. Your happiness is our satisfaction. Just for your curiosity, we have the right insurance certification and certified for your taxi pick up in Fort Myers airport. We also have a 24 hour taxi service for your convenience. Ritz Carlton Beach and La Playa hotel use Naples FL Taxi services very often. Sometimes, they can’t keep up with their overflow on winter time, so they call us for rescue. Their guest code and principles are similar to ours. Therefore, they don’t have any objection to adjust. I like to say Mercato, nearby Pelican Bay, is the hotspot in North Naples. There, Capital Grill, a great american style restaurant in Mercado Shopping center, grasps the atmosphere of this place. Bravo is very good, so are others, cinema and pubs and much more. if you are a fan of attraction, you may visit the Waterworks on Livingston. They have baseball and soccer fields which is fun. If you like to taste some cheap local food, Sofia’s ristorante is the place to be. Taxi Service Naples FL 239-777-0777. If you’re looking for a Naples taxi cab, car service to Fort Myers airport RSW, MIA, Punta Gorda, Tampa, Sarasota, Estero, Bonita Springs. We’re open 24 hours. Naples FL Taxi takes you from Naples FL to and from other cities in style. Unless we overflow or short handed, we’ll drive you miles in smile. As soon as we have a call for Naples taxi, we’re on it right away. There is no time to waste when it comes for a pick up. Because they have places to go, and must be there at a precise time. Therefore, punctuality is a key factor to us and plays a big role in our policy. Then, making money is one reason to be in business like everyone else. But it doesn’t comes before the service we provide, making sure the customer appreciate the service rendered. Make sure the exact location is true. Some visitors say they are not from here, they are tourist. Unfortunately, the phone system technology doesn’t allow us to pinpoint the exact caller location. It’s your obligation to tell us where you are. You must remain there with your phone ringer on until your Naples taxi shows up. When the location is wrong, it delays the estimated pickup time limit. Also it affects the destination arrival time that the driver schedule for the day. We believe in teamwork function, perfection in management and timely manner. Despite problems arisen, we create an area of love and trust. Our drivers are instructed to show up 10 to 15 minutes before time scheduled because customers can’t wait. Unless a traffic jam, which is a pain, the customer will be notified. We accept visa, mastercard and all majors credit cards. Contact us and let us know how we can be at your service. Best Naples taxi Cab Service. Best Naples Taxi Cab and Car Service understands how so important time is for your much anticipated happenings. Whether an airport car service or a simple Naples taxi needs. As you’re on the go, Naples FL taxi will pick you up and drive you to your destination with a smile. Our Naples taxi drivers are always eager to meet or exceed your expectations. With their skills and years of experience, you can rest assured because they know various routes around Naples FL. That is why best Naples Taxi Cab Service, enjoy a wide spread “word of mouth”. We satisfy Naples taxi customers and car service in Naples FL. Despite all that, referrals keep us growing. They allow us also to continue delivery of customer satisfaction for different transportation needs. Then, our services hail us as one of the best transportation companies in Naples FL. Whether for airport or for comfortable getaway purposes, we never hesitate to provide the best transportation you need.